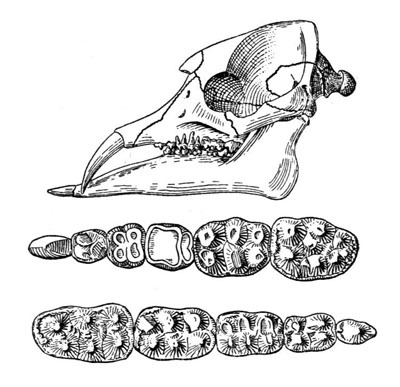 Fossilized remains of Palaeomastodon and Phiomia were found in the Lower Oligocene Gabal Qatrani Formation located in the El Fayoum, Egypt. The lower tusks were flat for scooping out plants from swampy water. They were 3 to 6 feet tall and weighted up to 2 tons. Had short upper and lower tusks.